It didn’t take long for the rest of the Lazygamer team to understand just how damned excited I am for Sunset Overdrive. I imported an Xbox One last year and I’m yet to play a game that justifies my purchase. Sunset Overdrive looks like that game. Darryn got to try it out at E3 and seemed to like it quite a bit, but the trailer released today has nothing to do with more parkour shooting goodness, unlike the co-op gameplay we saw last week. Instead, we get an inside look at the party that started it all. 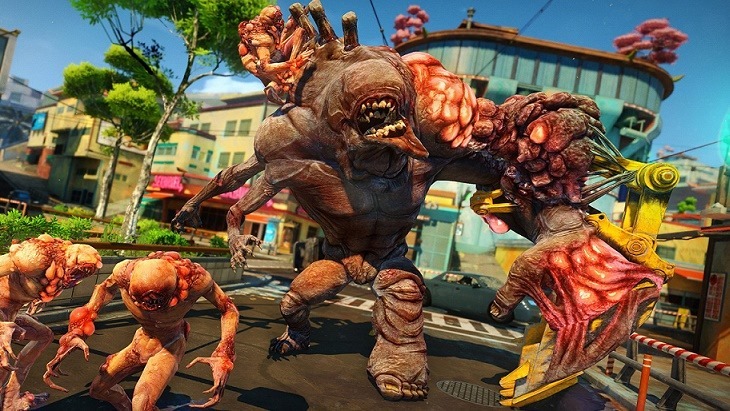 In case you missed the reason as to why Sunset City is crawling with monsters, the first two minutes of Sunset Overdrive will give you a good idea. In nutshell, there’s this new energy drink called Overcharge that’s turning all the party goers into the freakishly awesome monsters you’ll be putting down. Think of it as Redbull giving you too many wings, and maybe a few orange blemishes here and there. Oh, you also lose your mind and want to kill everything. A normal day in the office for Geoff.